Europe is facing a refugee and migrant crisis. Tens of thousands of desperate people from Africa, the Middle East, and Asia are crossing thousands of kilometres of dangerous terrain and braving the Mediterranean in appalling conditions, all for the chance for a better life for themselves and their families. Many die during their journey, often tragically in the last stretch of sea before they reach the European coastline. For those that arrive safely, the struggle often doesn’t end. Government agencies and infrastructure have proven unable to cope with the sheer number of people arriving and needing help. It’s up to private individuals and organizations to pick up the slack and help the many thousands of refugees and migrants already in Europe and who are arriving daily. For more than two decades, Projects Abroad has been sending volunteers from Europe, North America, and elsewhere to help improve the lives and opportunities for people and communities in the developing world. Drawing on this experience, Projects Abroad is now launching a Refugee Project in Italy. This will assist refugees and migrants as they reach the Italian coast after what has undoubtedly been a long and arduous journey from their home country. For many years, southern Italy has been a door to Western Europe for migrants and refugees, who often attempt to cross the Mediterranean from Africa. Recently, as with other parts of Europe, the number of refugees and migrants has increased drastically, and the Italian government and local population, facilities, and infrastructure have not been able to support them. Projects Abroad will be supporting two initiatives in the region to help refugees and migrants already in southern Italy, and those arriving daily. The first placement is in partnership with an international NGO in Reggio di Calabria. Refugee boats arrive here directly, dropped off by patrolling navies and coastguards. Volunteers here will assist with ‘first response’ work. When a boat arrives, volunteers will help to collect personal information, perform emergency medical screenings, and so on. Medical students would be particularly helpful at this placement. 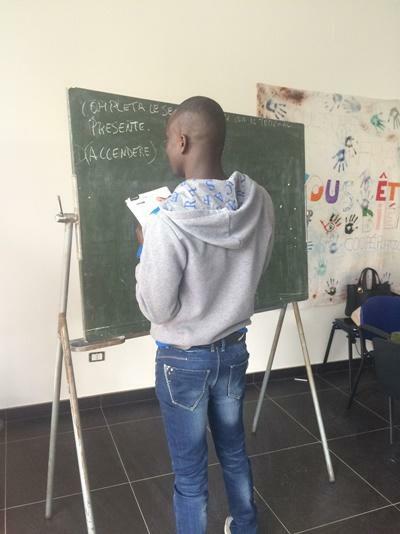 Speaking French is a vital skill, as many of the refugees and migrants are from Africa. The second placement takes place at various districts within Calabria, where refugees and migrants have been relocated and housed. Volunteers here will assist with ‘second response’ work, such as helping deal with legal and human rights matters and possible family searches in Europe. 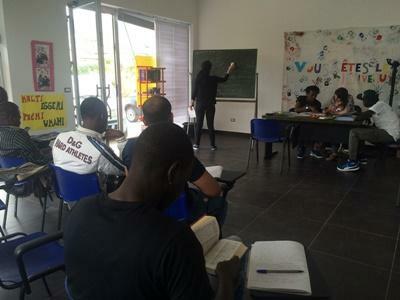 Refugees and migrants also have to attend special language and culture classes. A large variety of skills and expertise is needed at this placement. Projects Abroad is partnered with a local NGO for this ‘second response’ work. There is also space on this project for volunteers to contribute their own ideas of how to help, whether through translation work, assisting the elderly, or volunteering at city halls. Due to the urgent and unpredictable nature of this project, there is room for volunteers to use their own initiative in collaboration with the local partners and staff. With the refugee and migrant crisis worsening by the day and the local economy suffering, volunteers are needed on this project urgently. Fresh ideas, motivation, and committed volunteers can make a significant difference at a time like this. Join our Refugee Project in Italy and help make a difference today. Volunteers will be able to take part in the project from 1 week and will stay with a host family or in apartment accommodation.